Sana’a – Today (15/08), IOM, the UN Migration Agency, and partners are announcing three new major interagency humanitarian programmes in Yemen targeting 255,354 people, including stranded vulnerable migrants and conflict-affected people. More than two years of conflict has devastated Yemen leaving 18.8 million people in need of assistance and protection, including 10.3 million who are in acute need of live-saving support. The protracted conflict is rapidly pushing the country towards social, economic and institutional collapse. As of 15 August, 1,980,510 people are displaced within the country, 7 per cent of Yemen's total population. Some 946,044 people have returned to their areas of origin, 84 per cent of whom returned to 33 districts, out of 333. 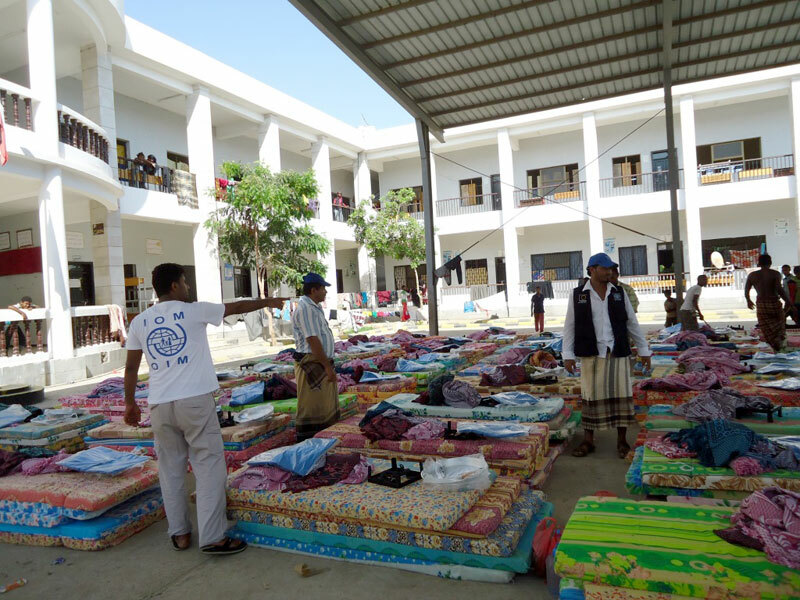 Acute protection and assistance challenges have been identified by IOM and partners in Aden, Lahj, Taiz, Sa’ada and Sana’a Governorates, including increased cases of human trafficking. 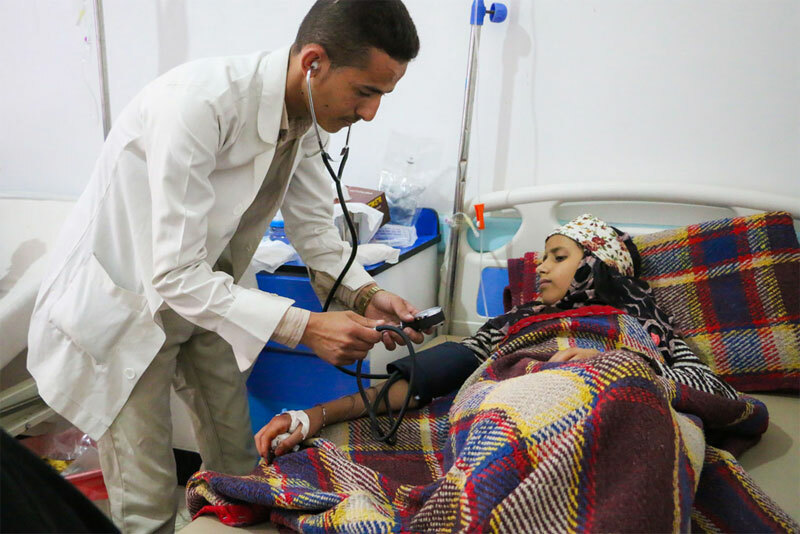 Some 101,680 Yemenis affected by the enduring conflict in those areas, including internally displaced persons (IDPs), returnees and host community members, will receive medical assistance, including cholera treatment, from IOM and the Norwegian Refugee Council (NRC). Through this programme, 3,600 children will be vaccinated. Over 30,000 Yemeni children, their families and members of host communities will receive psychosocial support. This programme will provide reintegration support to children. Children affected by or vulnerable to gender-based violence or human trafficking will also be supported through the programme. Government authorities estimate that the total population of refugees, asylum seekers (300,000–400,000) and migrants in Yemen could reach as high as 1.7 million to 2 million people. Often unaware of the extreme dangers facing them and sold false ideas by smugglers, an estimated 10,000 migrants enter war-torn Yemen each month with the hopes of reaching the Gulf countries. Since the start of this year, IOM estimates that around 55,000 migrants left the Horn of Africa, mostly from Ethiopia and to a lesser extend Somalia, to come to Yemen. The majority of arrivals are in dire need of basic humanitarian assistance and protection. IOM will be partnering with the Danish Refugee Council, NRC, Handicap International and Intersos to implement a large programme providing 96,275 vulnerable migrants with emergency support. Over the next three years, vital assistance will be provided to sick and injured migrants, migrants with special needs, victims of human trafficking and migrants in detention. The enhanced humanitarian programming will cover Lahj, Taiz, Aden, Abyan, Shabwah, Sana’a, Al Hudaydah, Sa’ada, Hajjah, and Al Jawf Governorates. Assistance projects will be developed in locations along the south and western coast where migrants arrive in Yemen, as well as along migration routes through the country. Some 57,399 Yemenis living on the route will be provided with water, sanitation and hygiene support. These host communities will also be targeted with campaigns on migrants’ rights aiming to mitigate possible conflict with migrants due to competition over increasingly scarce resources. Local authorities, such as ministerial officials, border and prison authorities, the coast guard, health authorities and representatives of countries of origin, transit and destination, will also receive training in effective and dignified migration management. IOM will expand its displacement tracking to monitor movement and the needs of people throughout the whole country. The Displacement Tracking Matrix (DTM) will monitor internal displacements, returnees and migrants’ movements, and locations. To be implemented in partnership with the Government of Yemen, civil society organizations and other UN agencies, the three programmes aim to identify and reduce the vulnerabilities of conflict-affected displaced people, host communities and migrants in Yemen, as well as reducing their morbidity, mortality and suffering. These new programmes are funded by the United Kingdom’s Department for International Development.